I was a bit on the youngish side to feel interested in The Firm back when it captured the American public's imagination as the "It" book of 1991. 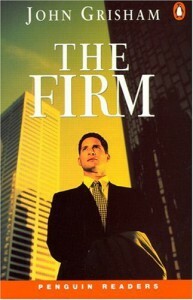 The Firm ushered in the legal thriller as a bonafide fictional genre, so that since that time, many authors have used the legal thriller as their career's bread and butter. I adore Michael Connelly, and to be quite honest (hide your eyes, John), he has done things with his Lincoln Lawyer series that far surpasses The Firm in quality. I imagine that if many readers went back and read The Firm again after twenty-five years, they would see it sort of like a picture of an old high school crush. You thought he was so hot with his central part and his used Toyota Corolla. Looking at his high school photo, you think, "God, what was I thinking?" Not that The Firm is all bad. No, there are certain things that are quite interesting. I found it amusing, for example, how much explanation and novelty went into the idea of The Cayman Islands being a safehaven for money launderers. Prior to 1991, Americans had evidently only credited "Swiss bank accounts" with this honor. The Firm is responsible for the Caymans becoming part of scripts of dozens of movies, books, and TV shows. I also enjoyed hearing how people could automatically get the best Harvard law student in the country for $85,000. Ah, 90s, you tickle me. But don't expect to really like The Firm. Grisham is not a master of much at this point: thin, porous plot, characters who are both brilliant and stupid at the same time, weak dialogue, gender stereotypes, cardboard villains. To Grisham's credit, I read another of his books a year ago, Sycamore Road, and the writing there was loads better in every way I mentioned. Writers grow while books remain the same. I wonder how many writers have bought up the rights to early efforts so that they could bury them from the public eye? I don't mean to imply that The Firm is that bad. But maybe he could go back and revamp it like George Lucas did to the Star Wars trilogy. I wonder how many writers have done that?